My homage to the amazing artist Wayne Theibaud. I still can’t get my paint to look like icing the way he does. 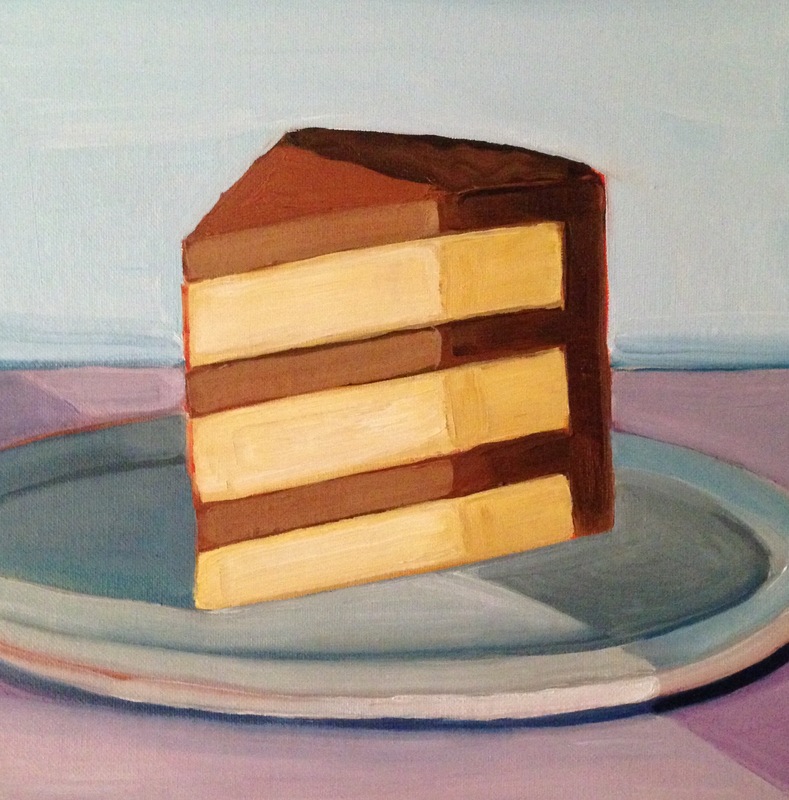 I’ve been scrolling through your works and I kept saying to myself, man, your work reminds me so much of Thiebaud. Nice to know some of the stuff from my undergrad degree in art stuck 🙂 Very nice work all around. Thank you for the compliment, I very much like several of your poems. 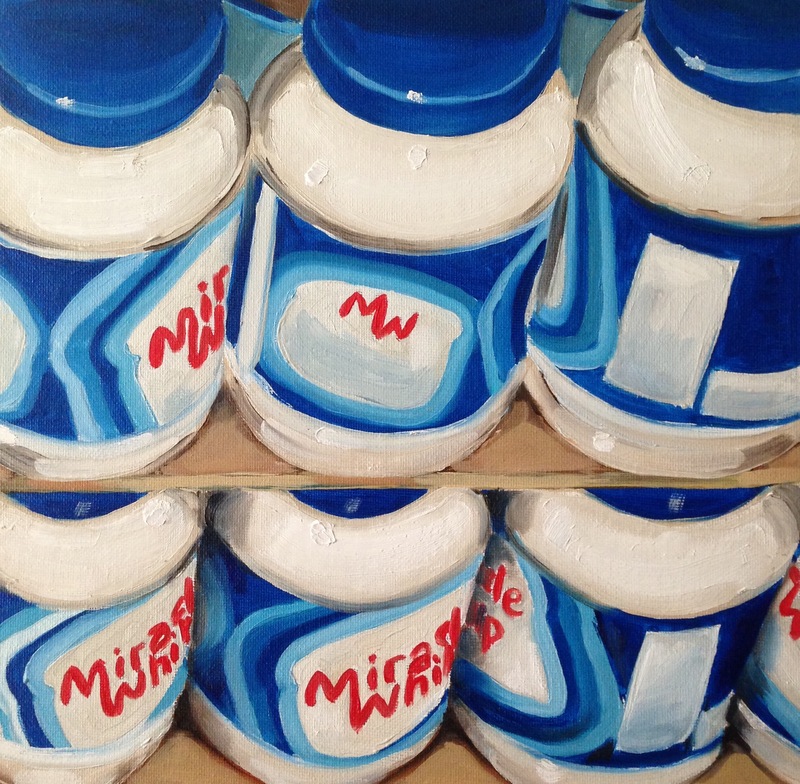 When it came to me painting this “miracle” theme trio, I specifically drew inspiration from Mr. Thiebaud when doing the cake slices. 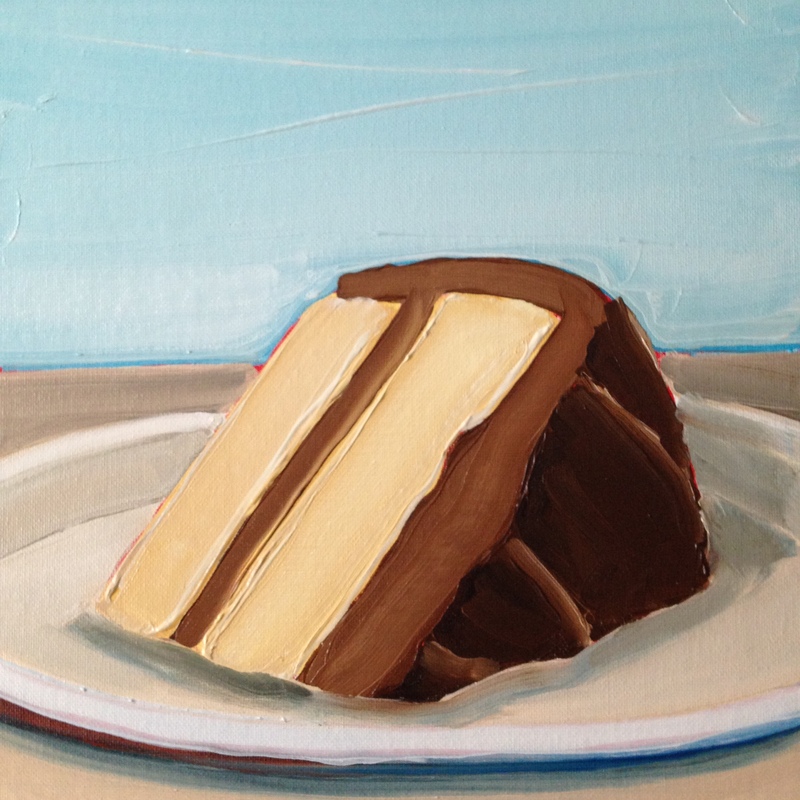 I don’t know of an artist who paints cake and pies better then him. So if you’re going to appropriate a style from someone, get it from the best.